034 – Footloose | All Eighties Movies. All The Time! This week we’re saving the town of Bomont, one montage at at time! 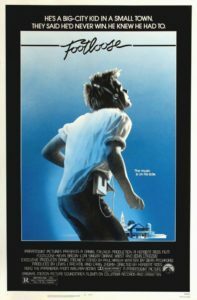 Gidgit and Angry revisit the classic that is Footloose! A film with a great story, and an even better soundtrack. An unmissable eighties film, we dare you not to be toe tapping from the opening credits! You two are beyond awesome. Love this move. Love this pod cast. Thank you for bringing back all my memories of this move and the music! I’m downloading the soundtrack now on my jogging track as I forgot how uplifting it was. Found you by ‘accident’ but will listen to all your other musical pod casts especially Xanadu! Love your banter and connection. So many pod casts are full of so much ego. Your one is refreshing. Thanks again – Melinda. I love this movie so much. Thanks for covering it AND including music. I’m a new fan of your podcast. Going to listen to Xanadu and Little Shop of Horrors next. Thanks for all comments! We love them and musicals are such fun. Hope you check out our other podcasts!